Clip lock standing seam roof are used a lot in Euro and USA,and also used a lot for church.commone sizes are one inch and half inch.The installation of sheet is not by screw.The seamer and clipers are required for installation . Our clip lock standing seam machine,it is portable.You can use at worksite,very easy to transport.Single phase is also ok.
What is your concern about our Roll Forming Machine?. 1) What is your guarantee?We offer 2years guarantee. 2) What if machines are not working?No worries,we make quality machine first.Before we ship machines,we all test machines in AUTO,to make sure no problems before loading.Usually some electrical parts are damaged while using.We will send spare parts with machine. 3) Is it complicated to operate the machine?Totally NO.We connect all wiring before loading,when you get machines you guys just need to connect local wiring.Operation manual will be sent with machines. 4) What if my workers does not speak English,if he can use the machine well?Usually 3 languages in PLC,CHINESE,ENGLISH,CUSTOMZIED language.But we need some accurate translation from u.
Shaft: Shafts of rollers are tooled by grinding machine for two times to ensure the precision of final product. Looking for ideal Mobile Standing Seam Machine Manufacturer & supplier ? We have a wide selection at great prices to help you get creative. 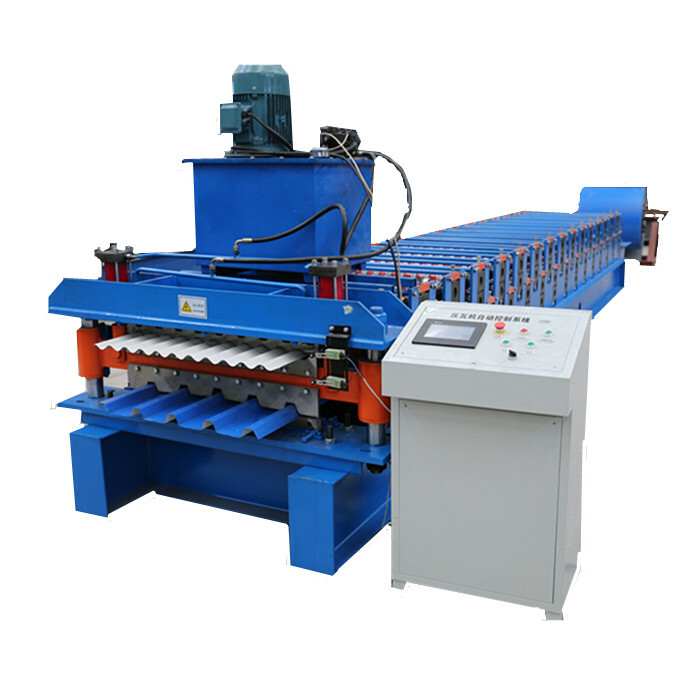 All the Standing Seam Roll Forming Equipment are quality guaranteed. We are China Origin Factory of Used Roll Former. If you have any question, please feel free to contact us.